San Francisco's Goodby Silverstein & Partners promoted several longtime staffers in a move that effectively restructures the agency's leadership. Most prominently, partner and executive creative director Margaret Johnson will become the 33-year-old Omnicom shop's first-ever chief creative officer, and managing partner Derek Robson will become president, effective immediately. Director of account management Brian McPherson, director of new business Leslie Barrett, director of brand strategy Bonnie Wan and director of communication strategy Christine Chen will also become full partners, with McPherson and Barrett as managing partners. Founders and co-chairmen Jeff Goodby and Rich Silverstein aren't retiring—they will remain directly involved in much of the organization's work. But Johnson will lead the agency's creative efforts moving forward. "We are reinventing our company every day," said Goodby in a statement, "and these are the people who will formulate the big changes, come up with the big ideas that will keep us not just relevant but game-changing. 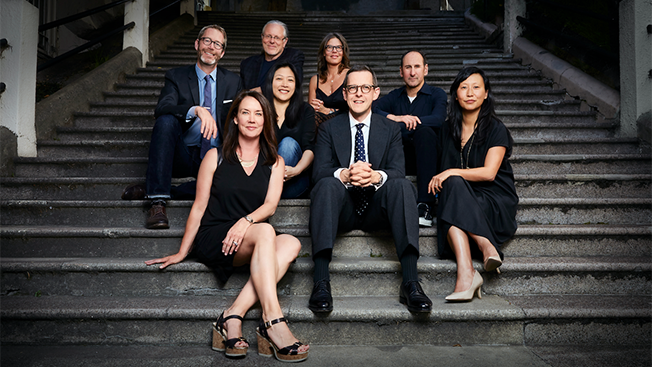 Our new president, chief creative officer, and new partners will make a difference immediately—and down the line, five and ten years from now." GS&P's last round of major promotions occurred in March 2015, when creative director Eric Kallman was promoted to ecd and positioned to lead the creative department alongside Johnson. Kallman left the Goodby organization six months later and opened his own Bay Area shop, Erich & Kallman, in May along with former CP+B president Steve Erich. Johnson has been with Goodby for two decades, working across such accounts as Frito-Lay, Sonic, the Salvador Dali Museum and TD Ameritrade. The North Carolina native joined the shop in 1996 after working as an art director at The Richards Group and went on to move up within the GS&P organization. She was named the agency's first female partner in 2012. "Margaret has grown up at GS&P and has the DNA of the agency in her blood," Silverstein said, adding, "She's fearless and has led us with innovative creative thinking that taps into culture. She's earned the admiration of our people and our clients, and there is no one else we would want to carry forth our legacy." Robson joined GS&P in 2005 as a managing partner after spending more than 13 years at BBH, where he eventually ascended to the role of managing director. According to the organization's statement, Robson has helped Goodby adapt to the digital age, winning various Agency of the Year and Digital Agency of the Year accolades in the process. Moving forward, he will serve as the agency's effective strategic leader while collaborating with its other partners. McPherson has led the Frito-Lay account for several years, driving strategy on such notable projects as Doritos' "Crash the Super Bowl" and various social media concepts for the Cheetos brand. He currently leads the Adobe and Princess Cruises accounts. In recent years, Barrett has led various new business efforts while spearheading creative campaigns for various clients, and the agency evolved her position to that of director of new business. In the first half of 2016 alone, she helped win StubHub, the Golden State Warriors and GREE while GS&P expanded the scope of its work for Comcast and Frito-Lay. Wan and Chen, both of whom are also longtime GS&P staffers, will lead its communications efforts, with Wan overseeing brand strategy and Chen using her media experience to amplify the agency's creative work and business strategies for its various clients.